Although graphical programming languages have been around for ages, they haven’t really seen much use outside of an educational setting. One of the few counterexamples of this is Pure Data, and Max MSP, visual programming languages that make music and video development as easy as dropping a few boxes down and drawing lines between them. A few years ago, [Thomas] and [Danny] developed a very cool Pure Data audio-visual presentation. The program they developed only generated graphics, but though clever coding they were able to generate a few audio signals from whatever video was coming out of their computer. The project is called TVestroy, and it’s one of the coolest audio-visual presentations you’ll ever see. The entire program is presented on three large screens and nine CRT televisions. 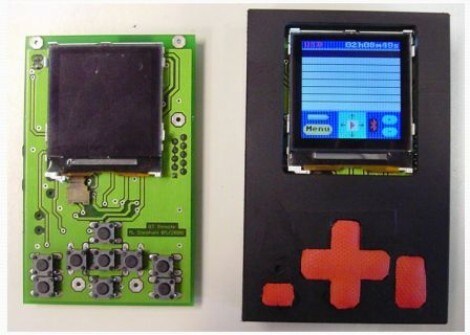 With some extremely clever code and a black box of electronics, the video becomes the audio. Check it out below. Although this is a relatively old build, [Thomas] thought it would be a good idea to revisit the project now. He’s open sourced most of the Pure Data files, and everything can be downloaded on the project page. Though some people differ on what exactly a “hacker” is, there is one thing that can be said for certain – this global community of tinkerers, experimenters, and hobbyists we belong to is one of big hearts. Through our various projects and tutorials, we lead by example – sharing knowledge and offering help whenever we can. You would be hard pressed to find something that could exemplify this more than the Traveling Terabyte Project. Started in the summer of 2006 by [Deviant Ollam], the goal of the project was to provide informational content from DefCon 14 to those friends and acquaintances who were deployed overseas in the service of the U.S. Armed Forces and their associates. This was originally done by outfitting durable cases with large portable hard drives stuffed with movies, music, and publications in order help those stationed far from their friends and family enjoy their down time a little bit more. The project has grown by leaps and bounds while the storage mediums have shrunk accordingly. The project has recently entered a new phase, where they are migrating over to flash drives instead of hard drives, which should help spread the distribution of media immensely. 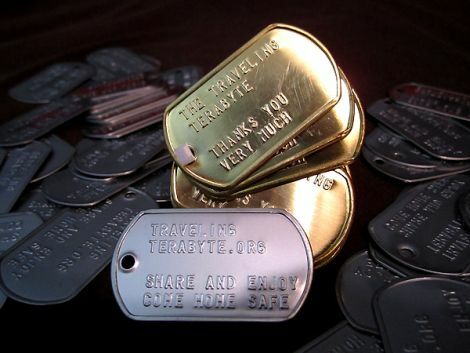 The Traveling Terabyte Project did not approach us soliciting money or publicity in any way, so by no means should you feel obligated to support the project. Regardless of our individual political leanings and views on war, we believe that helping out people who are subject to extreme amounts of stress while stationed far away from their home, friends, and family is a noble cause. VideoLAN just released VLC media player 0.9.2. VLC is probably the best known open source media player, and supports most audio/video formats without additional codecs. Before VLC, we usually installed buggy codec packs to watch videos in Winamp or Windows Media Player. We’ve found the nightly builds to be pretty stable for the past month, but it’s nice to see the final version released. Download Squad gushed over the new interface design, but omitted the real change — VideoLAN switched from wxWidgets to the Qt toolkit. Among many changes, Qt allows video effects to be applied without restarting the media. One of our favorite new features is an adjustments and effects menu for quick picture, sound, and subtitle tweaks. The new version has better support for flash videos (FLV), and will stream from most online video sharing sites. See the full changelog at the VideoLAN wiki, and help out if that’s your thing.